Preparing jerky from game meat has never been easier. 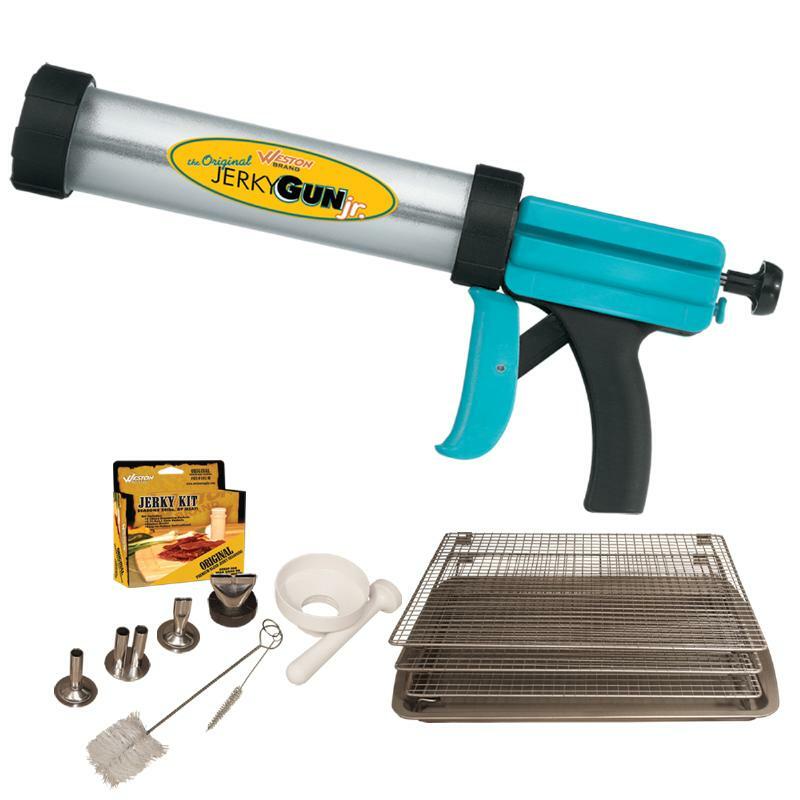 This kit contains everything needed to make jerky from ground meat. Game meat is naturally lower in fat than domestic meat, but homemade jerky is even healthier - add just the flavorings desired and have a healthy snack with no artificial additives or preservatives. Prep a great snack for the next trip without any hassle! Single Jerky Strip Attachment 1/8" X 3/4"
Dual Jerky Strip Attachment 1/8" X 3/4"
Non-stick coating, collapsible Drying Racks measure 16-3/4" X 14" for over 700 square inches of drying space.